Thrill staff will custom build your team building activities for free. 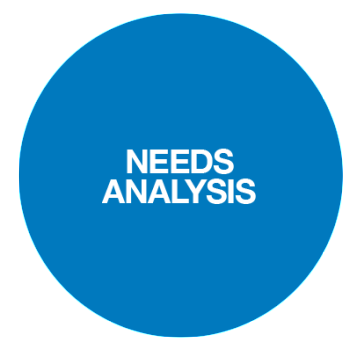 Your needs analysis assists Thrill in developing an accurate quote. Determining which program is most suitable for your organisation. Select from activities, team bonding, team building or leadership training and team development. Your analysis may reveal some areas that require improvement. As well as leadership exercises, initiatives, conferences, adventures, experiences and amazing corporate events. We do this efficiently, effectively, openly and informatively. To provide your company with an effective team building or event quote that meets your needs. You will receive a professional event quote, free of charge. Providing you with exceptional ideas to get your team building. Conferences, corporate group entertainment and activities off the ground. Helping EA’s, PA’s HR, CEO’s and groups develop their team building ideas into reality is in THRILL staff’s DNA. Complete our FREE team development building Needs Analysis. Within 24hrs receive an exceptional proposal and quote. For group activities and corporate training Australia wide. Enjoy the level of customer service your business deserves. Providing exceptional activities and team building concepts that are professionally developed. Engaging and valuable assets in a corporate teams training profile. Tell us what you require. We are happy to guide you through a selection of realistic ideas. Backed with a decision making process that doesn’t break the budget. Creative Wild at ART, Raft Building, Horse Whispering, Team Building Toys 4 Kids, I’m a Team Celebrity Get Me Out Of Here, Survivor, Mission, CSI. Enjoy Bubble Soccer comps, Lip Sync Battles, Amazing Races, Treasure Hunts, Flash Mobs, Greatest Showman – Fun ‘n Games, Evening and Corporate Entertainment. Talk with the Thrill team and gain a perspective on the successes of other companies. By completing the attached Needs Analysis. You will find it easier to develop your conference themes. Book suitable conference venues and get the best value whilst not losing on quality. Link to Thrill-TeamBuildingActivities-Analysis or complete Quote details below.